The Coen Brothers' debut returns to screens in October. 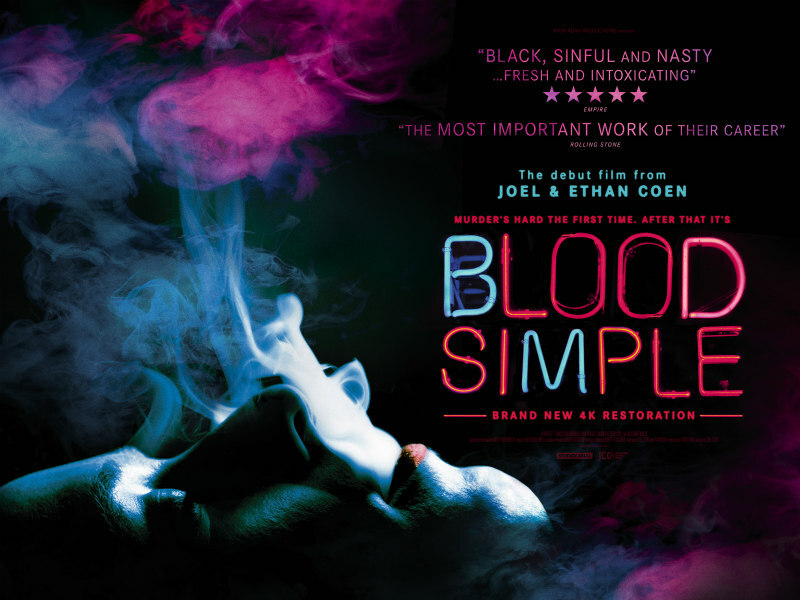 Joel and Ethan Coen announced themselves as a cinematic force with their rarely bettered 1984 debut, the neo-noir Blood Simple. Now a director's cut of the film has been given a Coens approved 4K restoration for an October release in the UK. The Coens' thriller will play in cinemas October 6th, followed by a DVD, blu-ray and EST release on October 30th. A special preview screening will be held at the BFI Southbank September 29th. Special features announced for the DVD/blu-ray release include interviews with Joel and Ethan Coen, and actors M Emmett Walsh, Frances McDormand and John Getz.